Start off your visit on the 20th (Sat): look for gifts at Your Piece Of Finland, take an in-depth tour of Arktikum, then pause for some serene contemplation at Rovaniemi Church, then see Santa Claus Office, and finally find something for the whole family at Santa Claus Village. On the 21st (Sun), you'll have a packed day of sightseeing: find something for the whole family at SantaPark - the Home Cavern of Santa Claus. 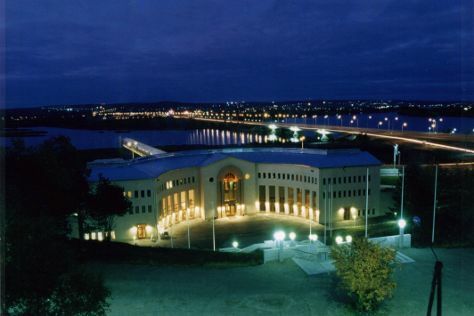 For ratings, photos, and more tourist information, read Rovaniemi online journey planner . Barcelona, Spain to Rovaniemi is an approximately 9.5-hour flight. You can also do a combination of flight, taxi, and bus; or drive. Due to the time zone difference, you'll lose 1 hour traveling from Barcelona to Rovaniemi. Expect slightly colder temperatures when traveling from Barcelona in July; daily highs in Rovaniemi reach 22°C and lows reach 13°C. Wrap up your sightseeing by early afternoon on the 21st (Sun) to allow enough time to travel back home.